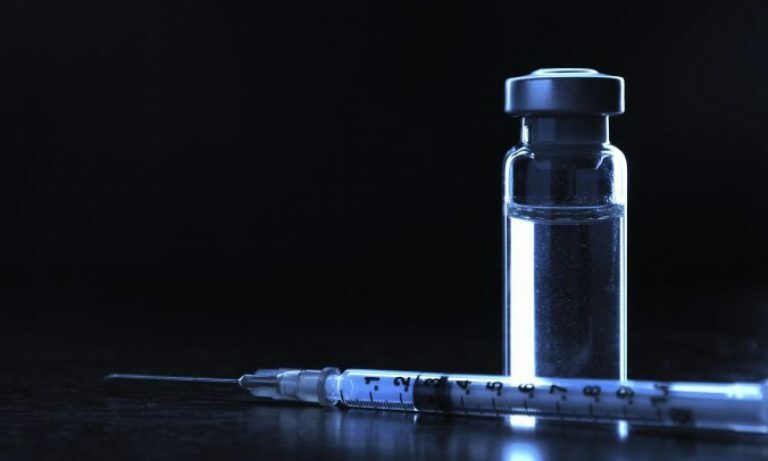 Finally, the court wrote that, “although some states have chosen to provide a religious exemption from compulsory immunization, a state need not do so.” In Sherr v. Northport–East Northport Union Free Sch. Dist. (1987), a New York court stated that (“[I]t has been settled law for many years that claims of religious freedom must give way [to] the compelling interest of society in fighting … contagious diseases through mandatory inoculation programs.”). The District Court dismissed Schenker’s claims in full, including the “free exercise of religion” claim, and permanent custody was granted to the county. The vaccination issue was not the only reason that permanent custody was granted, but was a contributing factor. So, let’s make this clear. 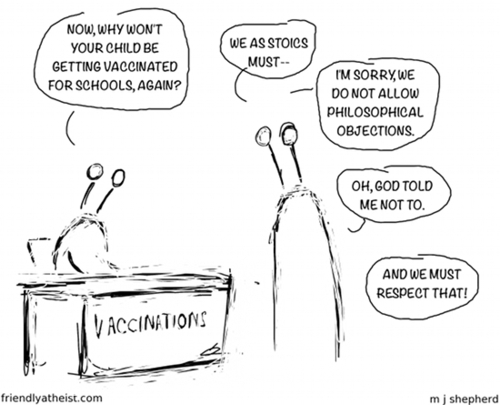 The United States Constitution does not give vaccine deniers some religious protection to exempt their kids from being vaccinated. Now, the Supreme Court of the United States, which, in case someone has failed their civics class, has the power, through judicial review, to interpret the constitution, and they have, through the two cases mentioned above, given the power to the state to protect the citizens from communicable states which supersedes religious “liberties.” Good for vaccines. Good for children. Good for the community health.